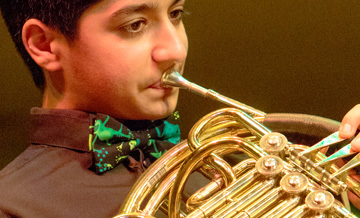 The Trustees of the Bromsgrove International Musicians' Competition (BIMC) launched The Bromsgrove Young Musicians’ Platform for musicians aged 9 to 17 in 2016, and it has gone from strength to strength ever since. The Platform has two sections, a junior section for those aged 9 to 13 and a senior section for those aged 14 to 17. All instrumentalists save organists can apply. Singers may only apply to the senior section. 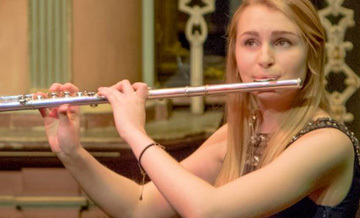 It is open to young musicians who live or attend schools in the West Midlands* including Worcestershire, Herefordshire & Gloucestershire (*30 mile radius from Bromsgrove). Generous prize money will be awarded to further the winners' musical development. 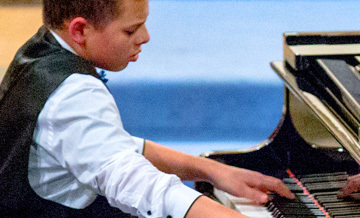 The Platform owes its origins to the Bromsgrove Festival Young Musicians' Platform, which was started by the late Dr Mary White of Bromsgrove in 1981, and which still continues as the Bromsgrove International Musicians' Competition. Apart from Dr White's medical duties, she took an active part in local life, and for over 30 years until ill-health forced her retirement was chairman of the Bromsgrove Music Festival. For her work she was appointed MBE in 2006.